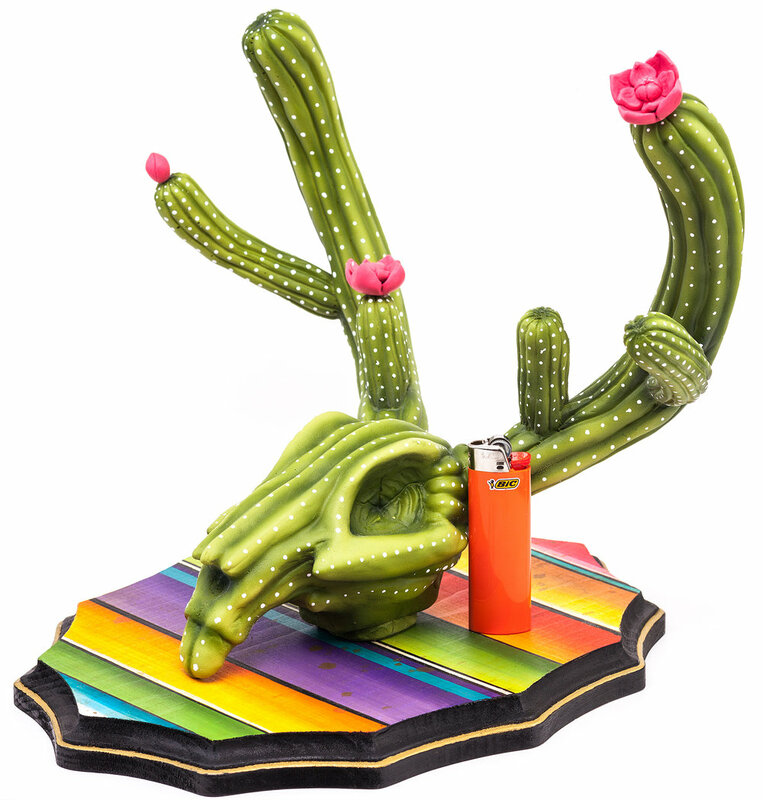 The First Pre-Order in the Biggs Cactus Skull series begins with a Jackalope skull. Pre-order starts Friday, Sept. 22, 2017. I will be adding the item in my store and announce it as soon as its up. Limited edition of 10 in this colorway. Each one is hand made and painted by the artist. Resin cast sculpture mounted to a wall hangable, hand painted wood plaque. Each flower is individually hand made and painted. Pre-order ends Friday, Oct. 6 or when it sells out. These will go into production as soon as the pre-order time is over or sells out. The estimated ship date is late October / early November. Shipping is not included. If you live in Las Vegas I can arrange a pickup/dropoff. Please email me at biggsstudio@gmail.com if you have any questions. Thank you so much! I have the next 2 pre-orders ready to go as well so stay tuned for the next addition to this exciting new series of sculptures.